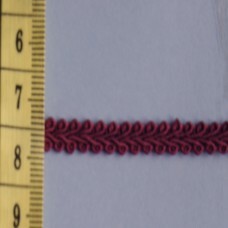 1m x 5mm. A versatile braid that can be used as you buy it or can carefully be split down the centre should you require something more narrow. Please note that the value of the items in the shopping cart must be £10 or more before an order can be processed.